BLOG > Huddle Up If You Want A Free Signed Book! Huddle Up If You Want A Free Signed Book! On September 11, 2018, my book GAME CHANGER will be published. I’m very excited, as it’s my first “serious” novel, after a bunch of books about wise alecky kids doing wise alecky things. 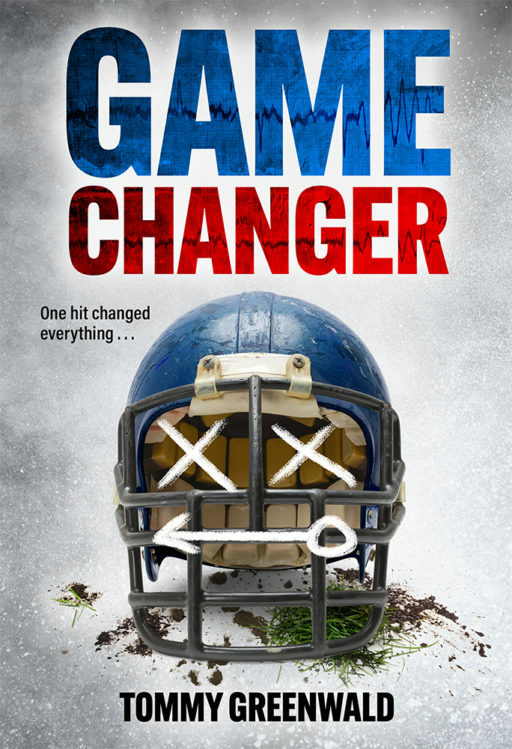 GAME CHANGER is my love letter to, and cautionary tale about, football – specifically, youth football. It was inspired by watching my son Jack play football through high school. I loved every minute of it – which I feel kind of guilty about now. But enough about me – do you want to win a FREE BOOK? Because I’m giving away three signed copies! To enter to win, just show off your football knowledge by answering the three incredibly complex questions below. Please register your answers in the comments section – and good luck! Which of the following is a penalty? Who of the following is an NFL superstar? NFL, holding, ferschlugginer Tom Brady mumble grumble! Let’s go Jets! Can’t wait to get this book in front of my kids… and you as well! Let’s get you back to Tampa! Looking forward to the start of the football season and to sharing this book with students. Go, Patriots!